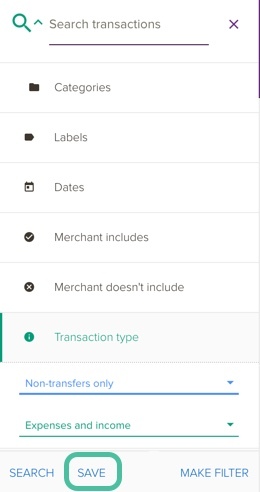 You can easily search your transactions based on different criteria. If you use the same searches often, you can save them and they will show on the left sidebar of the Transactions page. The search options available give you the ability to track down exactly what you are looking for and to also have much greater control over the types of filters you can create. 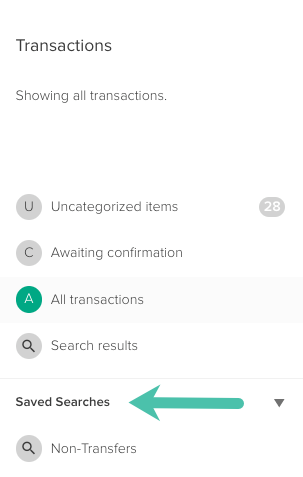 If you want to hide the search panel but keep the search results open on the Transaction page, click the search icon on the top right of the panel and it will hide the panel but keep displaying your current search. Once you have created a search, you're able to save it so you can easily access it again on the Transactions page or on your Timeline at a later date! 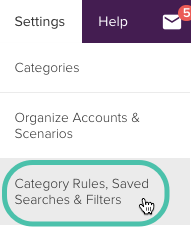 Changing the order of your saved searches in the Edit panel, will also change the display order of the saved searches on the Transactions page and Timeline.